OnCuba Travel is excited to bring you the experience of traveling to Cuba by cruise. Norwegian Cruise Lines is the third largest cruise line in the world. It is the only cruise line offering 5-day Cruises to Havana, Cuba departing from the ports of Miami, FL or Orlando, FL. Click on Book Your Spot to see available travel dates. Welcome to your cruise to Cuba! 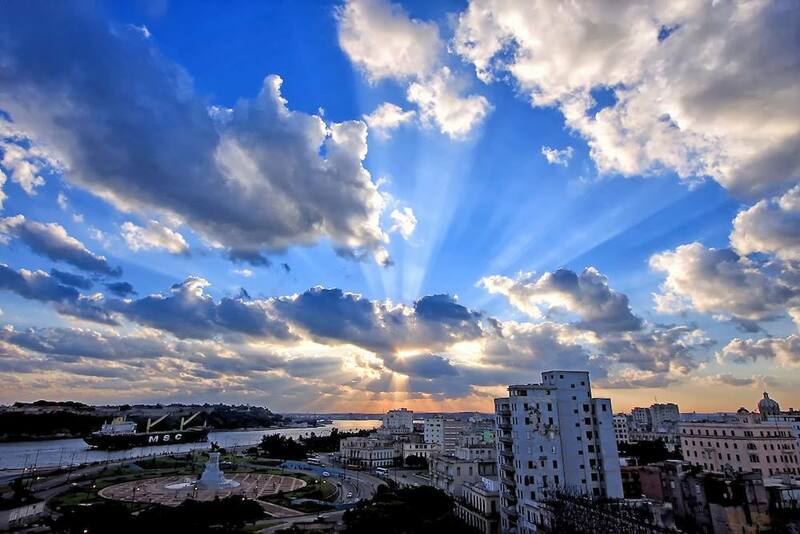 Enjoy overnight stays in Havana, Cuba aboard your selected cruise. Get a credit for up to USD 100.00 towards land excursions**. Tourist card visa to transfer from the ship in Cuba to your home. Get up to 6 free offers***, based on your stateroom category. All applicable and seasonal promotions towards your cruise cost****. Visit other exciting destinations during your trip, like Key West* in Florida and Great Stirrup Cay* in the Bahamas. *Note cruise stops and times are subject to change. Please Contact us for up-to-date information. **A planned itinerary with land activities is required by the US Office of Foreign Assets Control (OFAC) to explore the City of Havana and to travel to Cuba from the United States. End-of-tour gratuities for the Cuban guide, driver, and tour leader are left to the guest’s discretion and should be based on your level of satisfaction for the level of service received. *** This may include from beverage packages to Wi-Fi. Please contact us to learn more. ****Please contact us for our cancelation policy. From the moment you set foot onboard, you’ll see that the Norwegian Sky and the Norwegian Sun by prestigious Norwegian Cruise Lines offer something for everyone. Next, enjoy the added advantage of visiting your choice of the exciting Key West* in Florida or the beautiful Great Stirrup Cay* in the Bahamas in addition to your destination in the port of Havana, Cuba. Traveling on the Norwegian Sky your options are nearly limitless with 13 dining options, 12 bars and lounges, an onboard spa, and a casino with all the popular games and slots. The Norwegian Sky offers trips around the Bahamas from Miami. Another benefit is that if you decide to bring the kids, we’ll keep them entertained all day. Meanwhile, you can lounge by the pool, play in the casino, or enjoy dinner at one of the many onboard restaurants. The Norwegian Sun offers trips around Florida and the Keys from Miami. Enjoy from your choice of 14 dining options, 10 bars, and lounges. The Norwegian Sun is for the classic cruiser. Imagine a modern-day Love Boat meets Freestyle Cruising Sun Club Casino. Relax with the views of the passing scenery from one of the five hot tubs and pools at Award-winning Mandara Spa & Fitness CenterSoak. Time to relax and recharge! Once in Havana, OnCuba Travel offers you several options for guided excursions to select from. Our expert tour guides will share with you the highlights of your destination. They will delight you with stories from each location you visit. Finally, whether your interests are in history, art, culture or just fun, there is something waiting you! Check out the blog Visit Smokin’ Hot Cuba in 2019 for great ideas to prepare your travel plans. *Note cruise stops are subject to change. Please Contact usfor up-to-date information.